My very first visit to Seoul included a stop at the newly constructed branch of the National Museum of Modern and Contemporary Art, Korea. 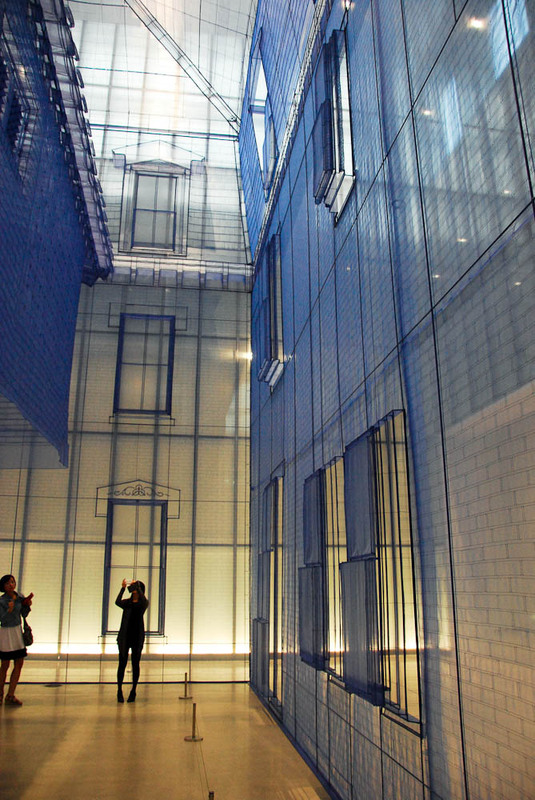 I heard there was an installation by Do Ho Suh that would only be up for a few more months, and I could not wait to see it. I was already familiar with his pieces from working at the Seattle Art Museum, which held his first retrospective in 2002. While I did not work there in 2002, I did get to witness the installation he created for SAM in 2011 titled Gate, a multimedia piece based on the gate outside his parent’s home in Seoul and a few pieces in SAM’s beautiful Asian art collection. It blew me away, as I’d never seen anything quite like it before. I was equally blown away by the installation in Seoul called Home within Home within Home within Home within Home, a life-size fabric reproduction of his first residence in the United States and his family’s traditional Korean house hanging in the middle. 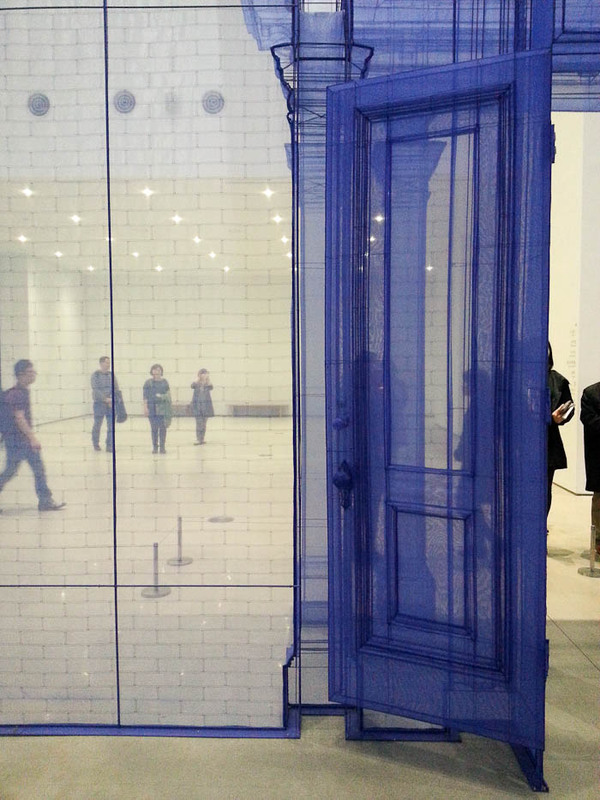 Do Ho Suh’s Home Within Home Within Home Within Home Within Home at the National Museum of Modern and Contemporary Art, Seoul. 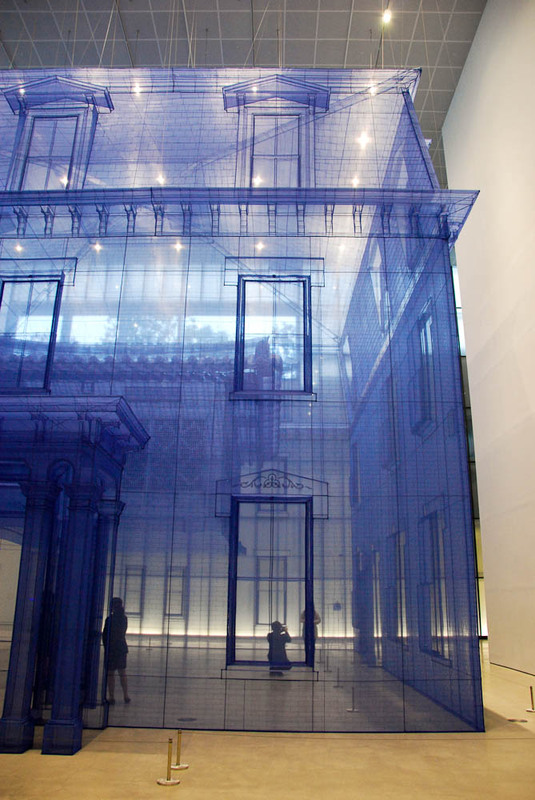 Do Ho Suh (서도호) is a Korean artist, mostly known for his sculptures, who now splits his time between New York, Seoul and London. Most of his work is site-specific (or at least context-specific) and often focuses on the idea of personal space and identity. 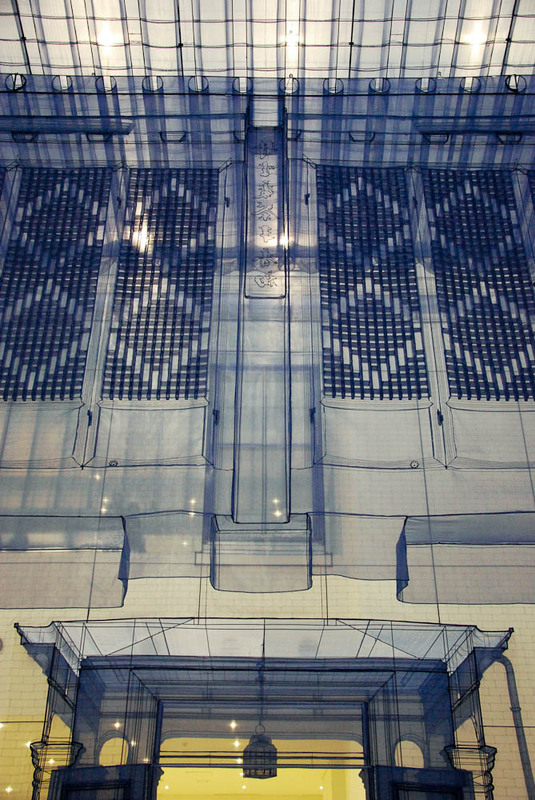 I am most impressed with his architectural pieces in which he uses fabric, creating a delicate space that can be occupied by the viewer. Home within Home within Home within Home within Home is one of them where he beautifully demonstrates time and space and the memory of home with a ghost-like quality. 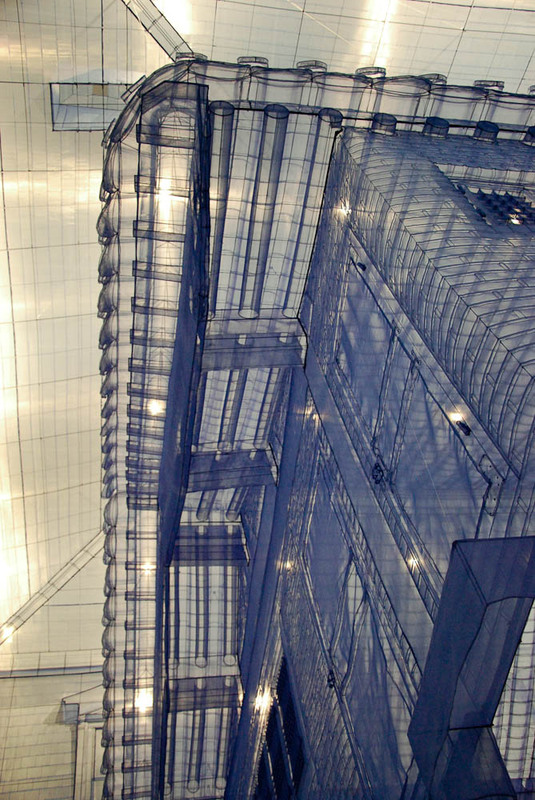 The shear fabric in a calming blue color reveals the past and the present in such a surreal manner, and the transparency forces you to look at the relationship between individuals and the notion of private versus public. Home within Home within Home within Home within Home: traditional Korean house within Western-style house; Western-style house with Seoul Box; Seoul Box within the Seoul branch; the Seoul branch within Seoul. The front door of the house where Do Ho first lived when he got to the United States in Providence, Rhode Island. 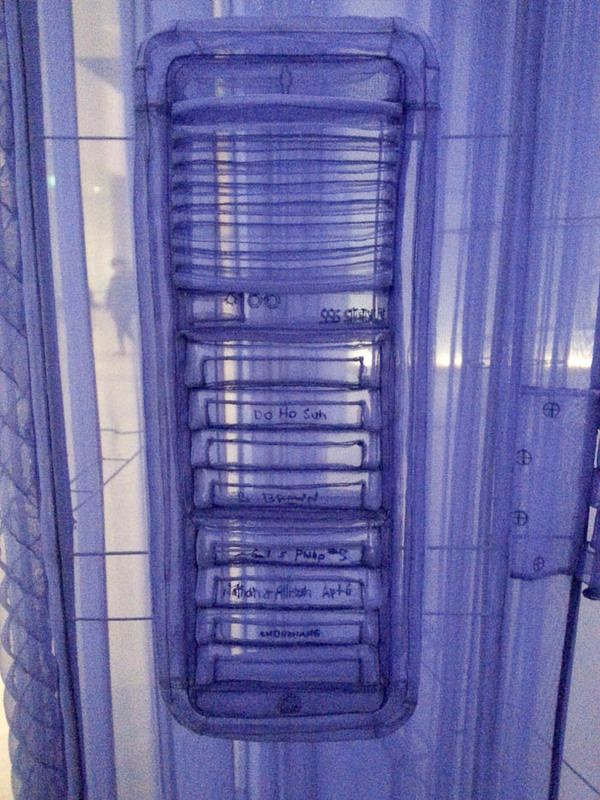 The photo is a bit blurry, but you can even see Do Ho’s name on what would have been the building directory. Do Ho’s family’s traditional Korean home hangs within the Western style home. Looking up at Do Ho’s traditional Korean house hanging within his first home in the United States, I felt especially connected to this exploration of identity, space and presence of culture shock as I adjust to life in a foreign country that is very far from what I call home. 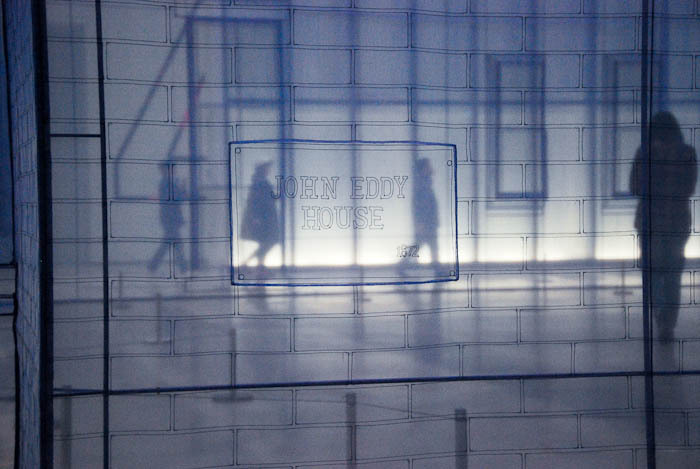 Beautiful detail by Do Ho Suh in Home Within Home Within Home Within Home Within Home at the National Museum of Modern and Contemporary Art in Seoul. 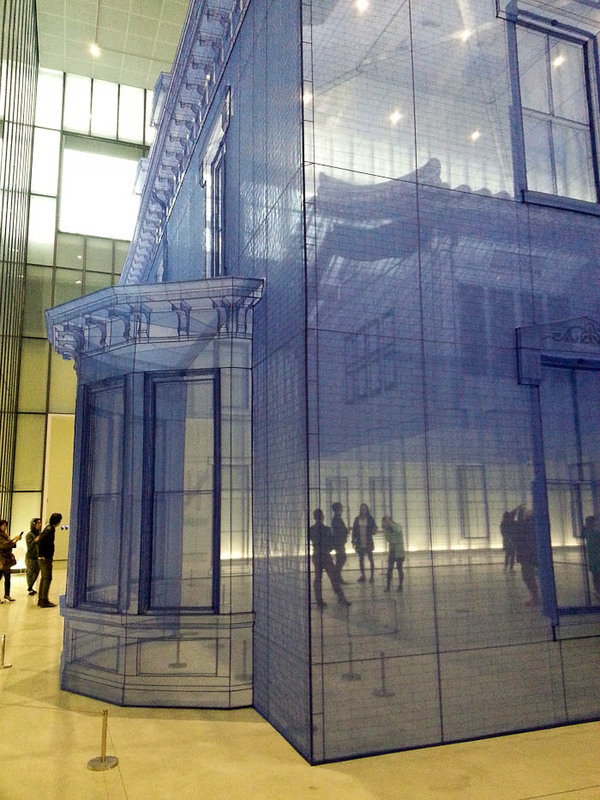 If you ever have a chance to see anything by Do Ho Suh, I strongly encourage you to do so. There are elements of sentimentality to his work that are very thought-provoking and I’m not very good at describing them. I think you will be impressed. Wow. Love this artist. I will have to do some more research on him. This is amazing. You’re lucky to have seen this. 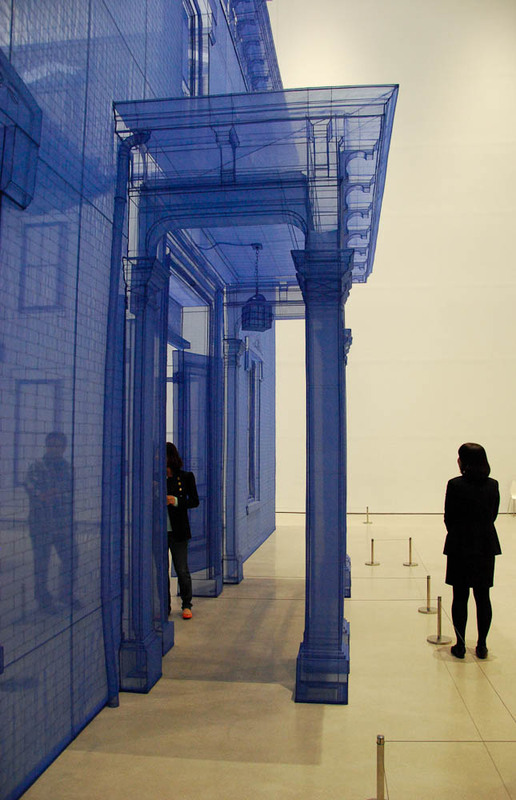 I’m really interested in looking into Do Ho Suh now.